Here is Some Information about Janasthan Temple in Nasik Maharashtra India. The Janasthan Panchavati Temple is located in Nasik Maharashtra.The temple is dedicated to Goddesh Durga.Janasthan Shakti Peeth is among the 51 Shakti Peeth of Ma Sati. 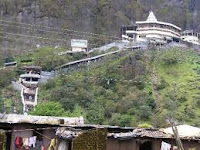 It is said that, the Chin of Maa Sati fell here, when lord Vishnu in order to relieve lord Shiva from grief of losing his wife Sati, used his ‘Sudarshan Chakra’ to incise Maa Sati Body. Then, at the place of fall of chin, this temple was constructed. 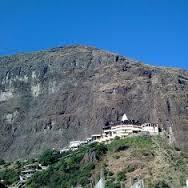 Janasthan Shakti Peeth is located near Nashik, Maharashtra. 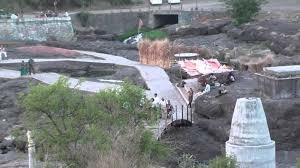 If precisely talking about the location then, near to Nasik, a place called as Panchwati is there. Here the idol of Maa Sati is called as ‘Bhramari’ and the lord Shiva is worshipped as ‘Sarvasiddhish’. 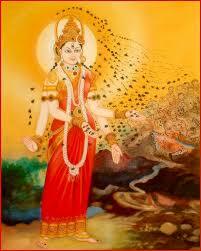 Meaning of Bhramari is goddesses of throne. For Hindu aficionados, this temple is the place or said to have power that can eliminate every type of evils from your life. So much so is this temple famous that, people from rest of the country come here to offer prayers and also to get rid of the evil that resides in their life. There is no exact information about who and when this temple was built. But, it is said and also written in Puranas and Vedas that the chin of Maa Sati fell. 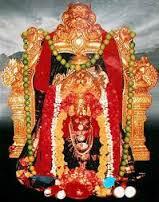 So, in order to embark importance to this place and pray the Maa Sati, this temple was constructed. Information about the origin can be known best from the people who are living nearby to this temple. On other hand, Panchwati was the home for Lord Ram in his 14 years exile period. By Road :There are many public and private vehicles available to reach Janasthan Panchavati Temple Nasik Maharashtra. By Train : The Nearest Railway station is Nasik junction. By Air : The Nearest Airport is Puna and Mumbai Airport.